Literary Nonfiction. Fiction. LGBTQIA Studies. Profoundly philosophical, surprisingly funny and brutally honest, this modern day tragic-comedy pulls no punches delving into the Sisyphean struggle of human addiction and recovery. After a decade of sobriety and relentless devotion to becoming a writer, Trunky finally finds himself on the brink of success and widespread acclaim. But as fate would have it, he spirals down into depression and begins using heroin again. 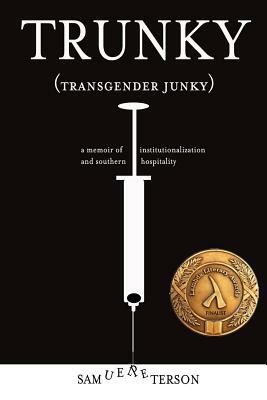 This relapse is different from those that came before, however, as Trunky ends up institutionalized in a recovery center in the south among a diverse group of dopers--thugs, criminals, white supremacists, professional athletes and business men--all of whom are looking for something they're terrified of finding. As Trunky navigates his path from addiction to recovery and female to manhood in this cast of characters, he find himself on an unexpected journey into the depths of the human soul where he discovers its fundamental flaws and the redemption humans experience from honest vulnerability when we have the courage to take the plunge.